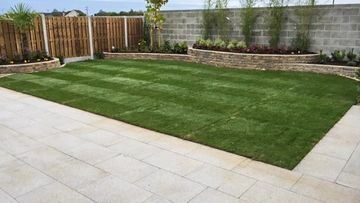 Joe Matthews Landscaping & Paving specialise in landscape and garden design as well as patio and paving for both private and commercial clients throughout Ireland. 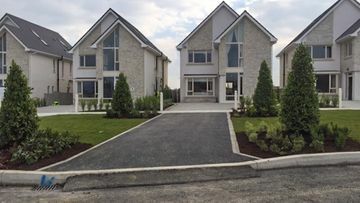 We have been satisfying the needs of our individual clientele across Meath, Dublin, Kildare, Louth and Cavan for over 20 years’. 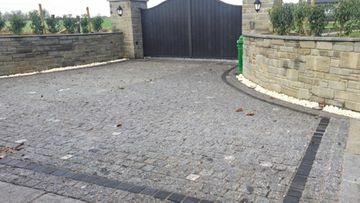 During this time, Joe Matthews Landscaping & Paving have amassed a reputation for the excellence of our completed works along with the quality of our customer service. We are a fully owned Irish company and we pride ourselves on leaving our customers with a professional finish that is second whilst remaining competitively priced. Our skilled team of landscape gardeners provide a comprehensive package, guiding you through the process from inception to completion, and are always available to assist with any particular design specifications you have for your project. If you are looking for a bespoke garden design there is no one else to call. Talk to Joe Matthews Landscaping & Paving today to see how we could help you transform your garden or residence.